Starting Lighting Ignition (SLI) batteries excel in high-start output where only light surface cycling takes place. 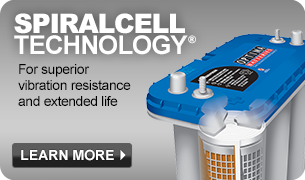 Deep-Cycle batteries are designed for applications that require deep, repetitive amperage drain, like trolling motors, electric wheelchairs, RV house power, and in start applications where the system load exceeds the alternator output for short durations. SLI batteries are typically used for short bursts of power, such as starting your engine or running light electrical loads. SLI batteries also supply extra power necessary when the vehicle’s electrical load exceeds the supply from the charging system (alternator) and act as a voltage stabilizer in the electrical system, evening out voltage spikes and preventing them from damaging other components in the electrical system. 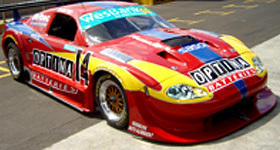 High-performance car audio and emergency vehicle applications are examples of system load exceeding the alternator output. 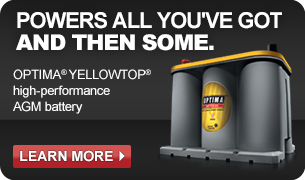 When the engine idles and the alternator output drops, the Deep-Cycle battery can continue to support the load with high current and then recharge fast when the engine speed and alternator output increase. Each time this happens, it is a cycle, and this can occur throughout the vehicle’s workday. 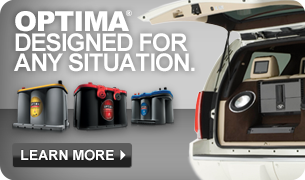 Vehicles that regularly experience overloaded systems find that the OPTIMA® Deep-Cycle is the ideal solution. These include vehicles with added aftermarket accessories, such as public safety vehicles, commercial fleet delivery and caravan vehicles.